You have rights as a survivor of sexual violence. All of our counseling services are free and confidential. Navigating the medical and legal systems during a crisis can feel overwhelming on your own. We can help be your guide throughout the process. 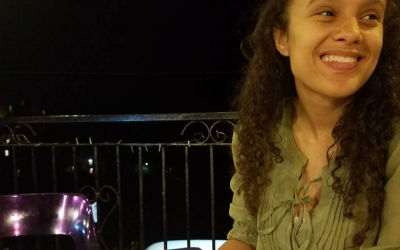 Our goal is to increase public awareness about the impact of sexual violence and challenge prevailing attitudes which perpetuate the problem of sexual violence. When we choose to volunteer, typically we’re choosing to do so for others, but I never expected a volunteer experience to help me. My training, those who are a part of SARA, and those who I been able to help have all taught me to be my own hero. Share the Love in June! 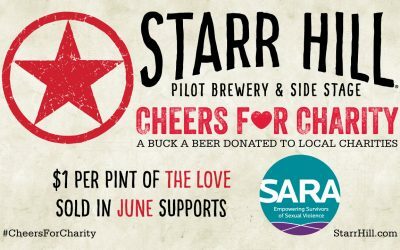 Join us for a fun evening as we kick-off Starr Hill Roanoke Pilot Brewery & Side Stage’s #CheersForCharity month to benefit SARA Roanoke! 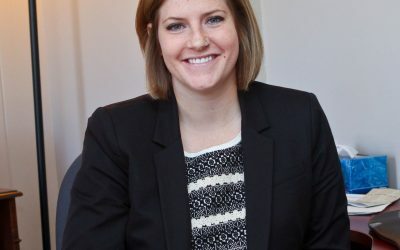 Join us in saying goodbye to our Director of Community Engagement.